Anne Boleyn often acted independently of her future husband, able to grant petitions, receive diplomats, preside over patronage appointments and foreign policy. The ambassador from Milan wrote in 1531 that it was essential to have her approval if one wanted to influence the English government, a view corroborated by an earlier French ambassador, in 1529. During this period, Anne Boleyn did indeed play an important role in England's international position by solidifying an alliance with France. She established an excellent rapport with the French ambassador, Gilles de la Pommeraie. Anne and Henry attended a meeting with the French king at Calais in winter 1532, in which Henry hoped to enlist the support of Francis I of France for his intended marriage. Henry endowed his future wife with an appropriate rank. On 1 September 1532, she was created Marquess of Pembroke, and became the most prestigious non-royal woman in the realm. The Pembroke title was significant for the Tudor family because Henry's great-uncle, Jasper Tudor, had held the title of Earl of Pembroke; and Henry performed the investiture himself. Anne was not popular with the people of England. They were upset to learn that at the Christmas celebrations of 1529, Anne was given precedence over the Duchesses of Norfolk and Suffolk, the latter of which was the King's own sister, Mary. In this period, records show that Henry began to spend more and more on Anne, buying her clothes, jewelry, and things for her amusement such as playing cards and bows and arrows. The waiting continued and Anne's position continued to rise. On the first day of September 1532, she was created Marquess of Pembroke, a title she held in her own right. In October, she held a position of honor at meetings between Henry and the French King in Calais. 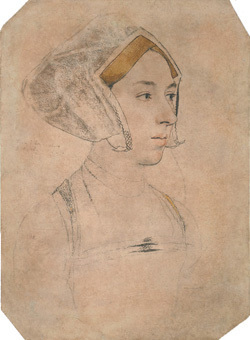 On this day in history, 1st September 1532, Henry VIII made Anne Boleyn Marquis (Marchioness or Marquess) of Pembroke. Why did Henry give Anne such a prestigious title in her own right? Quite simply it was to “fit” her for the European stage, in readiness for meeting King Francis I of France. “The Great Matter” was still not resolved and Anne was not yet Henry’s wife and Queen, so she required some status befitting of England’s future Queen. Eric Ives writes of how, on Sunday 1st September 1532, Anne dressed in jewels and ermine trimmed velvet for the lavish ceremony at Windsor Castle. She must have looked a queen with her loose flowing hair (traditional for coronations), beautiful clothing and jewels, and that is what Henry and Anne wanted to show. Anne was England’s Queen in all but name. At the ceremony, Anne, accompanied by her cousin Mary Howard, the Countess of Derby and the Countess of Rutland, was taken into Henry VIII’s presence by the Garter King-at-arms, and knelt in front of the King and the Dukes of Norfolk and Suffolk. There, kneeling, she listened as Stephen Gardiner read out the patent which gave her the title of Marquis of Pembroke in her own right, a title that would also pass on to her offspring. After this patent was read, the King crowned her with the gold coronet of a marquis and placed on her a crimson velvet mantle. Anne received not only the patent but also her own lands which were worth over £1000 per year. The lavish ceremony was followed by a sumptuous banquet as Henry and Anne celebrated Anne’s noble title. She would be Queen in just a few months.